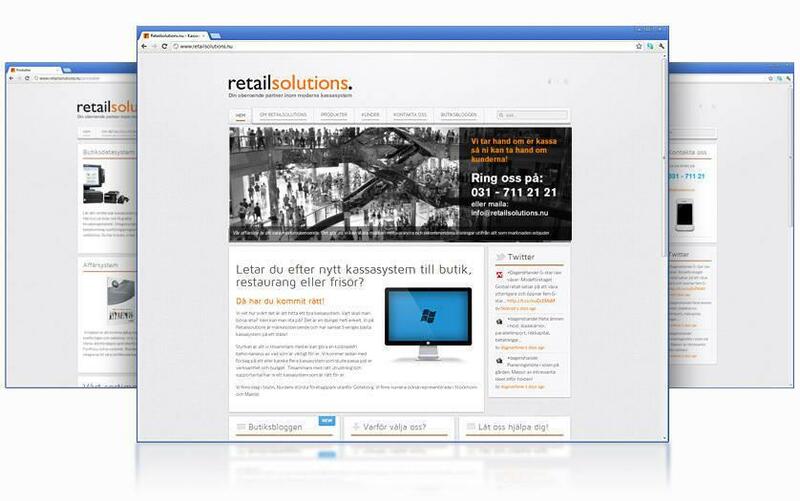 Retail Solutions had a 1.5 Joomla website with a little hard administered template installed. We helped Retail Solutions with a modern and easy to use template, and we saw that the security updates and any extra components installed. We made sure to create a consistent and clean design to their already existing grafika profile and colors. Focus was to have a serious and modern look. Joomla 1.5 was a very mature platform and an upgrade to 2.5 was not necessary.